AutoRecover is a Microsoft Office feature that will keep you from losing work in the event of a system crash or power outage by automatically saving your document at certain time intervals. You can easily change the interval when data is saved to have it save more often. This is useful if you’ve been having problems with your system recently. We’ll be using Microsoft Word for this example, but the options exist in all of the Office applications. 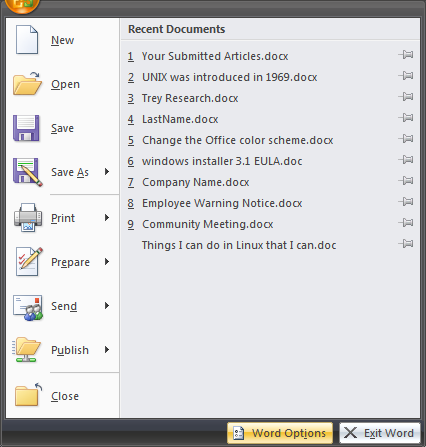 Just click on the Office button in the top left corner, and choose “Word Options”. 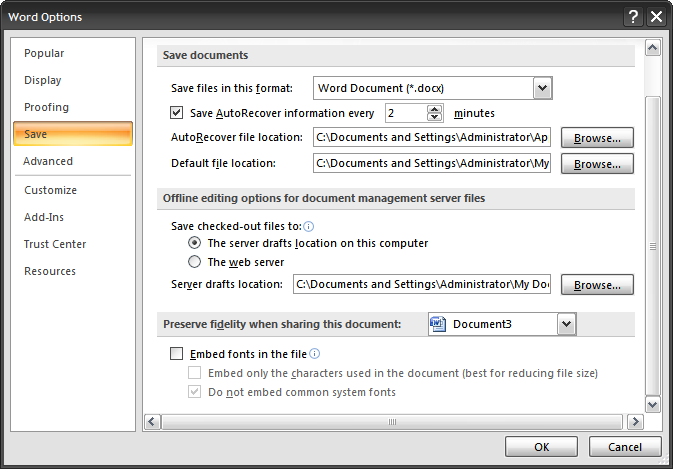 Click on Save in the left menu of the Options dialog box, making sure to check the “Save AutoRecover information” checkbox. Here you can choose how often you want to save autorecover information. Don’t make the interval too short, but it’s really up to you. I changed it to 2 minutes for this example. Click the OK button when you are done. One of the things to keep in mind is that if you are working on larger documents, setting the AutoRecover to something like 1 minute might start to slow your computer down, since saving a large document in the background every minute will tax your computer.